I'd like you all to meet one of the sweetest gals out there - Jillian - founder and master curator of the vintage jewelry shop Sweet & Spark. I was lucky enough to meet Jillian (thanks Victoria for the intro!) a few weeks ago while she was in NYC for meetings and I was instantly blown away by her drive and ideas. You all know I'm a sucker for accessories and have a very sweet spot for vintage pieces so it only took one visit to her online shop to know that this girl is doing it right. So today I want you all to get to know Jillian a little better and learn the ideas, hopes and dreams behind her shop Sweet & Spark. How did Sweet & Spark come about? Sweet & Spark started as a lifestyle blog in April 2011 as a creative outlet from living life on the road as a former buyer for all American Brands, most recently helping launch a new brand for American Eagle Outfitters. After the new brand I was working on closed, I decided to leave and pursue my dream of building a brand by combining my dad's antiquing hobby with my merchandising background. I'd grown up going to yard sales and flea markets with him and was always amazed at how much cool stuff is out there! I re-launched in November 2012 as a curated, vintage jewelry brand, promoting my dad to head buyer. He’s doing the dirty work scouring yard sales, flea markets & antique shops along the East coast while she’s out West, curating assortments of quality & affordable costume jewelry. Our mission is to bridge the gap between the overwhelming world of vintage and modern trends. You were a fashion buyer/merchadiser - What did you bring from that experience that helped you start Sweet & Spark? I studied Retail Management & marketing in college and have been in the industry ever since. I started my career in buying at Gap Inc and then most recently was working on a new brand for American Eagle Outfitters. The most valuable aspect of my professional career has been the network of people that I've built relationships with. Many were the first to support the brand and have been able to connect me to some amazing press opportunities. Also, having launched the start-up, 77kids by American Eagle from .com to a brick and mortar store it had taught me a lot about managing a large scope at both macro and micro levels as well as how to approach building a brand voice through grass roots marketing. Leaving corporate America was definitely the scariest thing I've ever done but I knew there was never going to be a better time. The hardest part is making the decision and starting, the rest evolves from there. Anything we want to know if now at our fingertips. So once you stop consuming information and start taking action, you realize the incredible power of momentum & serendipity. I can't tell you how many youtube videos I watched at the beginning trying to figure out photoshop and the basics of coding! I still find myself asking for help via twitter, emailing old colleagues or "googling it". Do it. You only live one time. One single time. Where did the name Sweet & Spark come from? Any special meaning? The name Sweet & Spark stems from my values. The sweet part embodies a belief in being genuine to everyone, spreading love and helping connect people to one another. The sparky part is about believing in yourself enough to follow your dreams. Lately we've been referring to the jewelry as Spark! 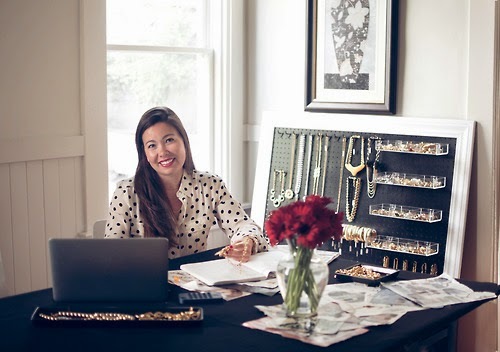 Do you have a favorite jewelry designer? What is it about his/her pieces that calls your attention? Most of our collection was produced by American designers from the 50s-70s so I'm a sucker for American jewelry designer Kenneth Jay Lane. Always on trend, yet always timeless. How do you choose which pieces to sell on your site? And how big is your inventory (average)? Every few months, my dad and I get together for what we call a sparkhuntin' trip (which you can follow along the hashtag on both twitter & instagram for the unglamorous, behind the scenes footage)! We typically drive up the East Coast starting in South Florida and stopping along the way at a mix of yard sale-ing, antique/thrift stores, estate sales & flea markets. At the core we're about gold plated classics. 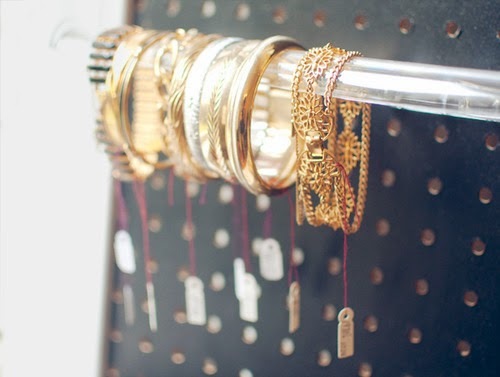 Gold plated jewelry tends to age better than pearls & rhinestones. Back in the day, they used to triple plate each piece so gold finishes tend not to tarnish as quickly as today's fashions do. As pearls and rhinestones age, they more easily become discolored and lose stones. While I believe a little wear to the finish gives a piece character, we weed out pieces that are broken, missing stones or have any green gunk on them. They are more trouble than they are worth. Every girl needs the following vintage gold classics- a tassel necklace, statement stud earrings and a stack of mixed width bangles. We try to list about 100 new arrivals every other week. As everything is one of a kind, make sure to sign up for emails to be the first to hear. 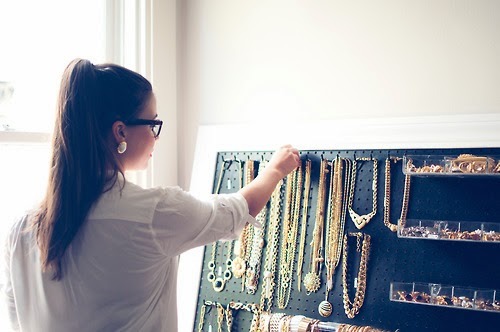 What's your favorite piece of jewelry you own? When you're out sparkhuntin' you never know what you're going to find and that's part of the rush. Be prepared to find the score of your life (my best find was a pair of Chanel earrings for $1! )or go home empty handed. We've also stumbled across a stack of Cartier love bracelets from the 70s! Costume jewelry is competitive, you have to be the first one at a yard sale or flea market to get the good stuff. So there you have it! 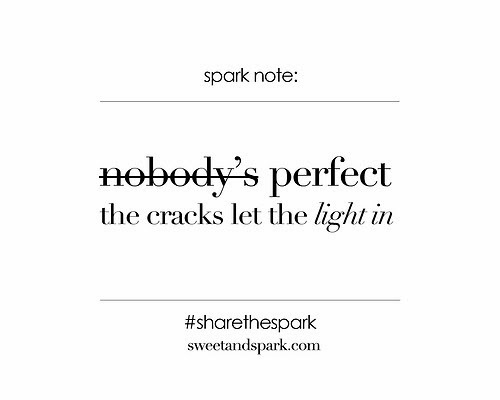 You must stop by her shop and share the spark using the hashtag #sharethespark on Instagram and Twitter! And remember that most pieces are one-of-a-kind so sign up to receive emails to be the first to hear when new pieces arrive. Happy Sweet & Spark shopping! Great post! I had no idea about this! Lovely jewels and I love the organization! Thanks for such a sweet write up & becoming such a sweet friend! What gorgeous pieces! I love this interview Viv. Great information and really beautiful photos. Thanks for introducing me to this great brand :). Have a great weekend! Beautiful pictures! I adore the necklace. These are wonderful and beautiful pieces. Ooh I can't wait to check out her site. I am always looking for great jewelry! Those are really lovely pieces. Amazing collection! Love her jewelry! I LOVE the name and the concept behind it. The site is lovely as is the jewelry. Great post.